Applications and folders on your computer open at the Windows. For them, there are several standard commands: minimize, maximize, close and move. 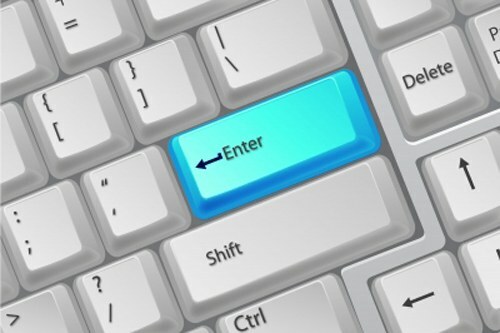 If while working on the computer you most often use the keyboard or a situation, when the mouse does not work, you will need the knowledge on how to minimize the window with the keyboard keys. There are several ways to do it. To minimize an app or folder via the control menu window, press Alt and Space (space). In the top left corner, a context menu will appear. Moving it with the arrow keys on the keyboard, select "Minimize" and press Enter. Minimize Windows without accessing the control menu is invoked by pressing Alt, Space and C. Describes ways you can minimize only the active window. In order to subsequently expand it, navigate through the various screen elements by using the Tab or arrow keys. When the desired item is highlighted, press the Enter key. Collapse from all the open Windows by using the Windows key (the flag). While holding it, press one of the additional Latin M or D. the Action caused by these combinations is identical to the command "Minimize all Windows", which is set to the same button on the taskbar. To then restore all Windows, press the Windows key, Shift and M.
Also with the help of keyboard you can move between Windows. In this way the active window is minimized, but selected by the user, on the contrary, is restored. Hold Alt and hit Tab. In the center of the screen bar appears with the thumbnails and titles of the currently running programs. To select the window, press the Tab key to until the desired app is in the frame. Then release all the keys. To stay in current window, or select it, or press Esc or Enter. In Windows operating system there is also a control mode of the mouse cursor with the keyboard. It is not too convenient, as the cursor moves across the screen very slowly. However, with it you will also be able to perform the desired command. Mode is activated by a combination of left Alt and Shift, and Num Lock. The movement of the screen by the keys 1-4 and 6-9, located on the numeric keypad (right side of keyboard) and pressing the mouse buttons simulate key [/],[*],[-] and .